As an innovative company always looking to increase with functionality, we always get excited about new ideas and developments in the technology industry. 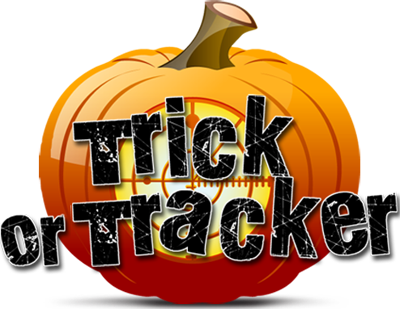 In honor of Halloween weekend, we wanted to highlight TrickorTracker. This inventive and useful use of GPS and App technology. Click on the link below to check out how it works... and Happy Halloween! In a day and age in which many individuals are literally attached to their keyboards for a large chunk of their day and every last second of their work week counts, most companies on the leading edge have been pulling out all of the stops to bring a better solution to the population’s efficiency needs. The going philosophy, if you’re a company who offers these types of solutions, is that if you can reduce a user’s work by even one key stroke, you’ve attained a major victory. And with that in mind, it’s no surprise that some of the world’s most important and innovative companies are always trying to come up with something new to add to the fray. Last week, for example, in a bid to offer its users even better speed on their daily online activities, Google introduced a new functionality which suggests search queries matching whatever has been typed into its search field so far. The idea is that rather than forcing the user to type in the entire phrase of what they’re searching for, they need only enter a portion and allow the website to guess the rest and suggest accurate clickable results. Titled “Google Instant,” this advanced functionality has already been garnering a lot of positive feedback, forcing just about everyone, including us at BuildingLink, to take notice. This got us thinking that a “BuildingLink Instant” feature might be just what was needed to enhance an already robust and user-friendly system. If only Front Desk users, for example, could have a convenient “Quick Search” field in the upper-left hand part of the screen which would enable them to quickly access any details needed to help better serve individual units, that might be a tremendous addition to the site for them. Or if the same types of fields could be available to assist staff members when documenting packages or entering permission-to-enter instructions to better keep track of security, that might add a lot of ease to their daily tasks. This might even be a great addition when staff members were looking to document building resources which could be reserved. Truly, the more we think about it, the more we can’t help but agree with Google. “Instant” results definitely make for happier users! In fact, there’s only ONE thing keeping us from developing this type of feature for our users: the fact that we already came up with it and added it months ago! This is a clear article on some important ways to deal with water damage in the multi-family housing industry. Mark Decherd offers some fundamental instructions and pieces of information that should be communicated to all tenants. He states, "Make it as easy on your tenants as possible by clearly communicating what you expect when water issues arise." Web-based productivity tools like BuildingLink.com go one step further to make it easy to follow Decherd's guide, utilizing solutions like the BuildingLink online document library and emergency broadcast features. Being a landlord has its advantages and disadvantages. 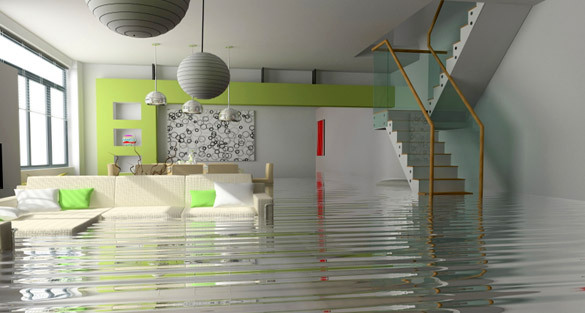 When it comes to water damage and rental property one of the major disadvantages is that you are at the mercy of your tenants and their responsiveness (or lack of responsiveness) to the problem. After all, if the tenant doesn't act promptly or notify you of a leak, water damage can go from bad to worse and you won't know about the problem until it's too late. Fortunately, most tenants don't ignore major water leaks, burst pipes, and overflows. However, some may not want to bother you with minor plumbing issues. For example, if a toilet overflows, the tenant may plunge the toilet, mop up the water, and leave it at that. But what if the bathroom is carpeted and the water not fully mopped up? Soon, the carpet begins to stink and mold begins to grow. Suddenly, you have a larger problem on your hands than a simple overflow and you are now faced with replacing carpets and mold remediation costs. Because of the potential for escalating damages from water, it's important that your tenants feel that they can contact you about any mishap. Let your tenants know that care about the condition of your property and want to know about water and plumbing issues. Accessibility and open communications are a must. Not only will you be more likely to learn about water problems before damage becomes worse, you may also find that your tenants are more responsive, proactive, and responsible when they see how much you care. Make it as easy on your tenants as possible by clearly communicating what you expect when water issues arise. Create an instruction sheet specifically addressing water issues. Let your tenants know which issues you need to be informed of such as: musty odors, leaks, overflows, condensation, burst pipes, standing water, mold, and so on. In addition, you might want to create a water damage checklist and enclose it with your monthly rent statement. This checklist can contain action items or reminders. For example, your checklist might be broken down into areas of the house such as the kitchen, bathrooms, laundry room, basement, windows, and other common areas where water damage or mold may be present. Regularly sending your water damage signs checklist to your tenants helps to keep water damage and its potential at the top of their minds. For instance, a tenant may have noticed a slightly musty odor in the basement and then promptly forgot about. By reminding your tenants, you may find out about a treatable problem before it has a chance to fester into a monster. In addition to providing tenants with instructions and checklists, make sure that your tenants know how to reach you at all times. Include your cell phone number, pager number, email address and other ways you can be reached. Let tenants know the best way to reach you in an emergency and consider including the phone numbers to your preferred plumbers and water damage response companies. Having trouble with your computer and can't wait for (or afford) a technician to come in person and investigate? Fear not! Many of our customers are finding not only a surprisingly easy and unique solution, but one that is exceptionally innovative as well. 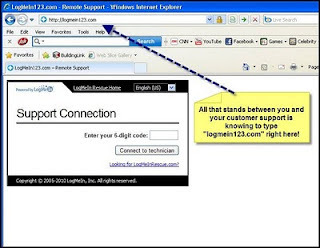 For those situations in which Front Desk staff need assistance to maintain their computers for BuildingLink use, a new trend of using online technical support tools such as logmein123.com, at no additional cost to buildings or residents, has emerged. 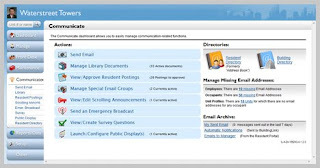 For example, when buildings have purchased new computers and need to reinstall necessary software, users are able to call into our support department, direct their browsers to logme123.com, and attend to their regular duties while BuildingLink staff work diligently on their computers from a remote location. Whether it's something simple like an adjustment on browser settings, or something a little more complicated such as downloading software for peripheral devices, building staff need only to type in the URL and everything else is covered by us! Like any company (software or not) your reputation is built on proven results. Whether you are in the technology industry or real estate industry, your business success is based upon the beliefs of your clients. Like any company (software or not) your reputation is built on proven results. Whether you are in the technology industry or real estate industry, your business success is based upon the beliefs of your clients. Every time we introduce even the notion of BuildingLink to a new person, building, company, or city; it can be an exciting experience. Software solutions like BuildingLink offer an end user possibilities to achieve results in ways they might not have imagined. Yet eventually, the rhetoric of your product ends and the decision to utilize (and depend) on a platform like BuildingLink every minute of every day comes down to our company's actions, not our words. "We have had the system since July and are loving it. We have been able to get rid of the sign-in sheets, the package log and the binder in which we kept resident information numerically and alphabetically." "We're new to Buildinglink. I'm so glad to see both our employees and Shareholders taking advantage of this program. It helps us in so many ways!" "Excellent website! Much better to communicate this was as opposed to using wasteful paper distribution. Save a tree, send an email. Thank you!" "Plain and simple, you're staff rocks! Never a problem, never heard them say 'we can't'. Kudos and thank you!" "BuildingLink is a wonderful product. And their customer support is some of the best I have ever encountered in either my professional or personal dealings!" Are you retaining the "Technology Generation" in your building? So retention is on your mind if you're in the rental housing industry. While the nuts and bolts of this marketplace remain constant and necessary, the landscape is changing a bit and as a property manager, you should have the best tools to navigate it. A recent Herald Tribune article highlighted part of the reason for this climate shift. Basically, during the condo-building boom of 2004 - 2008 lots of once-downtrodden downtown, urban areas were revitalized by developing stunning, state-of-the-art luxury residential buildings. Since the near-crash in 2008, many of these planned condos have become rentals, with fairly reasonable urban rents. The result? Lots of just-out-of-college renters living in high-rise buildings with gorgeous views and luxury amenities. So, suffice to say a renter should be pretty content. Yet, any leasing agent or property manager will tell you it's all about the CRM-Customer Relationship Management. Service and convenience are still the major reasons residents choose rental housing, but this can also be the very reason why the choose to not renew their lease? The primary goal of property management should be to keep existing residents happy, but we also know that the circumstances and situations that happen on a day-to-day basis can challenge property managers' or staff's schedules. There are tons of ways to streamline operations, but only few that are completely cutting-edge and utilize the most innovative technology. Which one are you using? If you are working in one of these luxury condo-conversions like the one in Miami, you'll probably want the best, most technologically-savvy product. As more and more Generation Y-ers move into these types of properties, your building should be able to meet the expectations of these young renters. Ask yourself these questions: -Do your residents receive automatic emails when packages are received? -Are they able to put in specific requests online AND automatically be updated when you respond? -Does your maintenance system track all work done, seamlessly? Can certain repairs or work be scheduled and automatically email a specific employee? Or even an outside vendor? 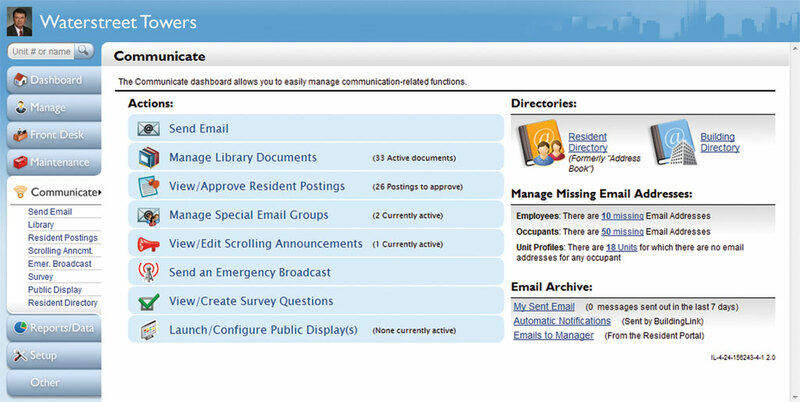 -Can you control the types of services your residents are privy to? -Do you have a resident portal that builds a sense of community, while safe-guarding management's liability? -Does your building have an online system for storing document and cutting out paper as part of a Green initiative? -Could you email or phone blast all resident, just 1 floor of residents, or other combinations with simple clicks of a mouse? -Have you seen the most innovative residential property management platform used worldwide? In the 21st century, can you afford to not offer the most convenient, time-saving (and money saving) methods of communication to your staff and building? Generation Y might one-day be housing buyers, but right now, they are huge percentage of the rental market. Don't just MARKET to them...SERVE them. S-U-P-P-O-R-T is not just another 7-letter word to us. We know how frustrating it can be to deal with temperamental computer equipment or recalcitrant software programs when all you really want to do is GET YOUR WORK DONE!! And how often do you call for “support” only to get the bum’s rush and to feel anything BUT supported! "One thing, though, that makes BuildingLink spacies is the way that the company is very interested in making the site useful for us and our needs," says Jeanne Fisher, the General Manager of The Residences Park Place Condominium in Annapolis, MD. "The customer care is always there when we need it and the company takes suggestions for enhancements from clients like us. We love that we are listended to by [this] company!" The BuildingLink support staff? Well, they are all aces: super-smart, knowledgeable and patient people, eager to answer your questions and help your managers and staff get the most out of our very robust and powerful platform. More inventive ways to help communication in your building. BuildingLink customers are among the best managed buildings in the world. And with BuildingLink, nothing slips through the cracks. So it has come as a surprise that many residents have begun to complain. "You've spoiled my husband," says resident Samantha Parson. "Every maintenance request he enters gets taken care of within 24 hours. Now he expects ME to do the same!" Today we are introducing a new feature to our Maintenance module - the "Do-it-yourself Button." With the "DIY Button," managers can now select any maintenance request they like, and instead of taking care of it, with one click they can instruct residents to "do it yourself." The "DIY Button" is already a hit with residents and managers alike. 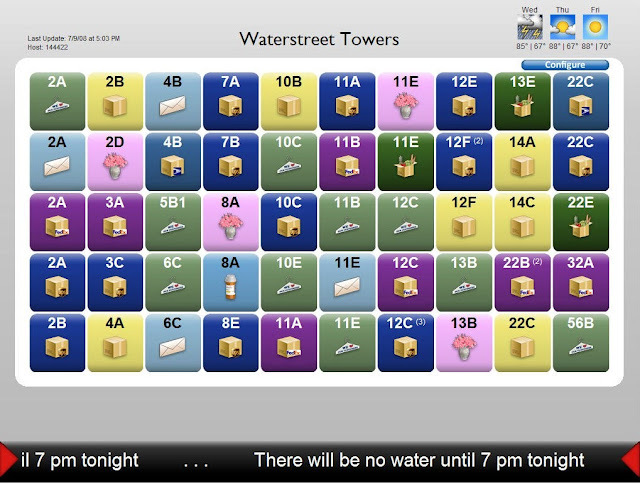 Mike, superintendent at Waterstreet Towers, says, "This is great! Just imagine the possibilities! 'Mike, can you clear out the garbage piling up in the hallway?' -'Do it yourself!' Today marks a new beginning in the world of property management. Thank you BuildingLink!" For more time-saving tips, visit BuildingLink.com and give us a call! Unless it is after April 1st, because the functionality probably won't work then. BuildingLink is the hottest, most eco-friendly and current way to communicate with your residents! I absolutely love it... Unfortunately this last weekend our hot water went out in the entire building and I was able to send an email blast to all the residents letting them know that we were aware of the outage... residents were able to communicate back and I was able to update them upon repair. Building Link is an excellent tool to use as it's paperless, speedy and the way the world communicates today. 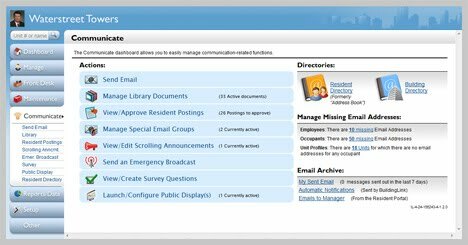 I use BuildingLink on two buildings I manage and I find it a very useful and helpful tool for communicating with residents and staff. It is also very helpful for keeping track of information and printing reports, i.e. shareholder contact lists, maintenance reports, etc. It is very user friendly and easy to learn. The BuildingLink staff is very helpful and pleasant. I would highly recommend BuildingLink. Beautifully done website and quite informative! We are salivating over the new Maintenance Request Trends Analysis Report. We love it. I think Building Link is an AMAZING tool for Property Management. It really puts EVERYTHING at arms reach for Property Managers and Residents. Once again, Building Link is brilliant! I was just thinking yesterday as I searched for vendors in our Yardi program wouldn't it be nice if we had a directory right on Building Link? Thanks Guys! WOW! This web site is phenomenal and just plain outstanding. I love it. My community recently signed up for BuildingLink service and are very happy with our decision to do so. I cannot give enough praise to Fran Besdin and her entire team. They have been extremely professional, attentive, and communicative throughout this entire process. Though most of the process is complete, the staff at BuildingLink continue to provide us with exceptional customer service and less than 24-hour response time! I will be recommending BuildingLink to ALL of my buildings from now on. 800 buildings. 800 reasons why building just works. 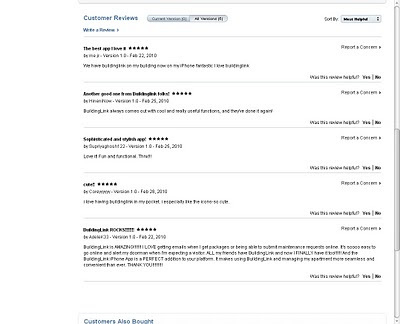 Our iPhone App is a hit! The marketing department in real estate (rentals or condos) often has to grasp at straws when developing a campaign to lease-up or sell. If you glance over your real estate section in the newspaper (do people read those anymore?) or surf for what the markets like online, you’ll be bombarded with marketed reasons on why you should live HERE. One of the biggest rationales-turned-amenities is: security. It was even the topic of discussion last month at CITI PROPERTY, a blog informing readers on buying city property around the world. And let’s face it: if you decide to live in an urban residence, security is on the top of your list. Yet does just having “security” on a building’s list of priorities enough? The real answer to this question lies at the front desk: who do they allow in the building, and more importantly, who do they allow into your residence. I’ve seen the range in security options for a building: from key fobs, to Key Track, to a locked box at the front desk, to a drawer in the property manager’s office. Key security systems can sometimes be extremely complicated and expensive—but a good one doesn’t have to be. Look at KeyLink by BuildingLink. 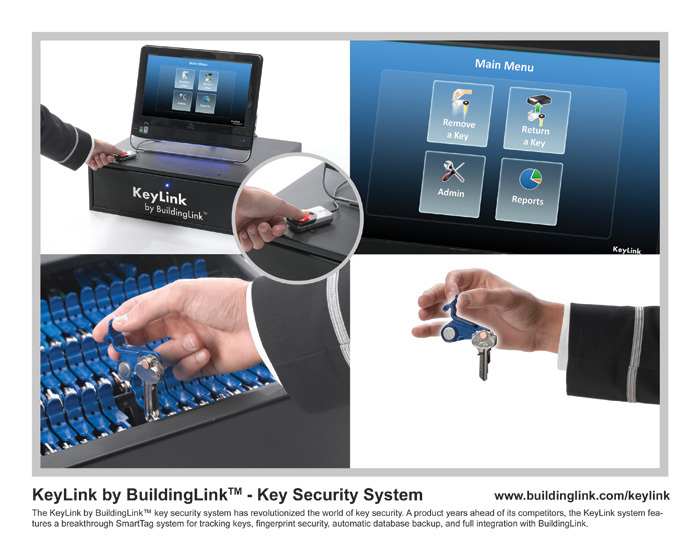 Drawing on years and years of innovation in this very field, BuildingLink.com designed a smart, comprehensive key-security system by listening to the very people who were tired of antiquated or inefficient ways of doing things. It’s 2010. There’s a different way of doing things. Some recent news in the property management "software solutions world," seems to highlight what is so often missing in solutions to the day-to-day operations and communications of a building--communication. And that's the trouble. Since communication is one of those buzz words we hear all too often, it is also one of those issues we can easily gloss over. At PRWeb.com, a recent shift in the corporate structure of a "property management" company, highlights this industry's communication gap. Much of this is because communication is a hard concept to wrap your head (let alone programming code) around. The microcosm of each and every building is so very different and there are literally thousands of variables in each building. Not that surprising then, is an industry that is able to focus its technology on the easily quantifiable--numbers. Of course is in this business, the dollar is always the bottom line. Yet while management companies and buildings seek to save their dollars, keep their residents happy (and leasing) and modernize their community to be a leaner, greener 2010 residence...technology that can help close the communication gap is often forgotten. The good news is that closing that gap may be easier than one might think. Technology exist that can now adapt to hundreds and hundreds of people, situations, management companies and buildings. Utilizing a web-based, residential management platform can often modernize a building easier than putting in solar panel lighting. And more importantly, it can end up refining a working building by streamlining the way a building operates. While accounting software will always be necessary...the bottom line will soon include not just eliminating the gap between the red and the black, but also the gap in communication. Can you increase the value of an apartment or condo in these economic times? A very recent article in the Orlando Business Journal summarizes the state of affairs for the condominium and single family home market in 2009. Basically, sales have driven up since '08...but value is way, way, down. During this economic climate most owners, developers or investors are looking at ways to save money, but also imbue more value into their properties. But how? Rental communities and condominium climates are definitely different, but most seem to be focusing on one area in particular: amenities. A building's amenities can be the life blood in maintaining reasonable and valuable prices for apartment rentals or condo sales. From gyms, to spas, in-house theatres, 24-hours concierge and more; this has definitely become a very recent trend. And with at the current rate that communities are leaning toward this kind of lifestyle, the higher chance those properties have of needing a technology solution for residential building management. 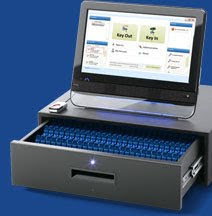 While systems that are able to automatically track packages and notify residents, host web-based resident requests, hightened security information, online social bulletin boards and community groups, advanced document storage and the like; enhance the "modern amenities" or a building, and can be added rather easy. (And very inexpensively). Can you increase the value of an apartment or condo in these economic times? Yes, you can add value to a property rather easily--although it isn't going to reverse the economic decline of a property. It will, however, allow you to increase the service that your property is able to offer and when you talk about resident retention or unquantifiable value to an owner...service is at the heart of it all. As it keeps getting colder, and colder, and colder...condominium and apartment buildings grow wary of dealing with issues of frozen pipes. Take for example this most recent posting in Ocean City's The Dispatch. Living in the Northeast and other snowy or cold areas, most property managers are accustomed to dealing with a building's frozen pipes. However, all too often the pipes aren't the only thing that are frozen in this kind of emergency: property managers might also feel stuck as to how to act quickly and effeciently in times of crisis. I've personally visited buildings in times of distress and I've seen property managers, front desk staff, housekeepers, and anyone else they can find to search this clipboard, log lists, databases and manually call or contact residents as to the state of a frozen pipe situation. Or perhaps you live in a building when you have seen staff racing up and down elevetors on all 22 floors, trying desperately to shove pieces of paper under each door--before the 6 o'clock rush of people flooding in through the door. Save time, some money and save yourself from irrate shareholders of tenants. BuildingLink offers a very simple solution to "thaw out" a manager in times of frozen crisis: the Emergency Broadcast module as part of BuildingLink.com's comprehensive residential management platform. With the emergency broadcast module you can easily record your voice or simply use your web browser to type in the text of your message. The Emergency Broadcast will be sent to every phone number in the database or only the phone numbers you select. Your emergency message text will convert into speech for the resident and you will be able to receive detailed to results of every single number dialed, who answered live, when a voicemail was left, or when a message did not reach the resident. A task that could often take hours, can now easily be handled by a property manager on their laptop in their living room. Now that cold weather is becoming an issue for buildings this time of year, consider giving your building the hottest technology tools around, and ultimately be able to streamline communication in your building. 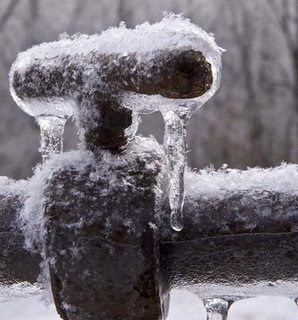 Your pipe's might be frozen, but your communication pipe-line will be running smooth all year long. This is a wonderful article highlighting the importance technology has had over the last decade.